From Canada’s first international best-selling author; Thomas Chandler Haliburton, to North America’s first agricultural fair, to a world-renowned Pumpkin Regatta, the town of Windsor, Nova Scotia is both amazing and unique. 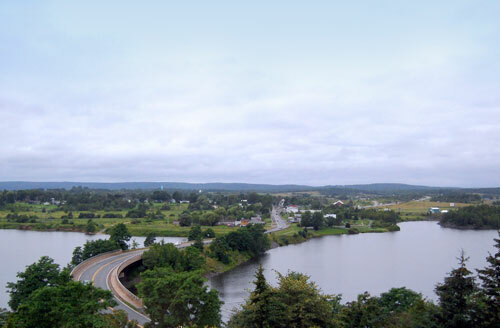 Founded in 1685, this charming town was originally known as Pesaquid or "Junction of Waters", a Mi'kmaq term that describes the way the nearby Avon and St. Croix rivers converge before flowing into the Minas Basin. Enjoy Windsor’s waterfront downtown featuring the amazing Mermaid Theatre of Nova Scotia, unique retail shops and, every Saturday, a local Farmers’ Market. The town is also a wonderful destination for sports enthusiasts as Ski Martock and Avon Valley Golf and Country Club are both just a short drive away. Throughout the summer and fall, Windsor hosts exciting and original festivals and events for the entire family. In August, the widely popular Windsor-West Hants Summer Fest (formerly Sam Slick Days) is a fun-packed weekend of parades, competitions, concerts, and fireworks. In the month of October, Windsor becomes the world’s giant pumpkin capital. Entries from the Maritimes and beyond flock to the town to participate in events such as the Pumpkin weigh-off and Pumpkin Regatta; a “boating” race unlike any other.